I pretty much agree with the article, though I’d like to offer a slight different perspective. Firstly, technical debt isn’t something that is paid off by a successful development. It’s the accumulated overhead that is incurred by patching, extending, and adapting applications over time. Short term decisions are taken that lead to long term inefficencies and expense supporting applications that end up as a mass of fragile spaghetti code. Technical debt also arises from the initial development it it is carried out in a traditional linear fashion. At the start it’s impossible to envisage what is required or exactly how it will be delivered. The end result is lashed into shape by developers working under extreme pressure fixing faults in testing. That’s one of the reasons why Agile offers the possibility of better outcomes. We don’t know enough at the start to estimate accurately or define the whole project. We can’t know, because that is the nature of the problem. Any pretence that we can is a delusion. However, it is a reassuring delusion because we like to pretend, and have often been effectively ordered to pretend, we know exactly what we will have to do; to pretend we are carrying out a form of engineering like building a bridge. Responsible developers should be able to look to auditors as allies in trying to make their companies accept realism. 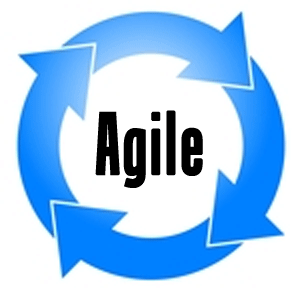 Agile doesn’t guarantee better results, but it is grounded in a more realistic understanding of the true nature of software development and so it does tilt the odds in our favour. But nothing is ever certain, and we have to be honest enough to admit that. By the way, it looks a bit confusing referring to “structured methodologies” in the context of Agile. That’s a term usually reserved for traditional, formal, linear, document heavy methods.